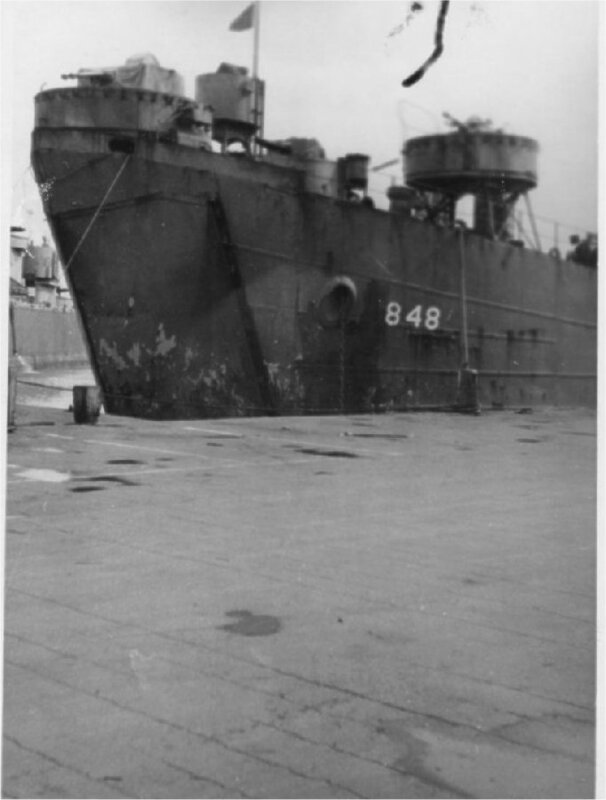 Laid down, 6 November 1944, at American Bridge Co., Ambridge, PA.
Decommissioned, 10 August 1946, at Vancouver, WA. 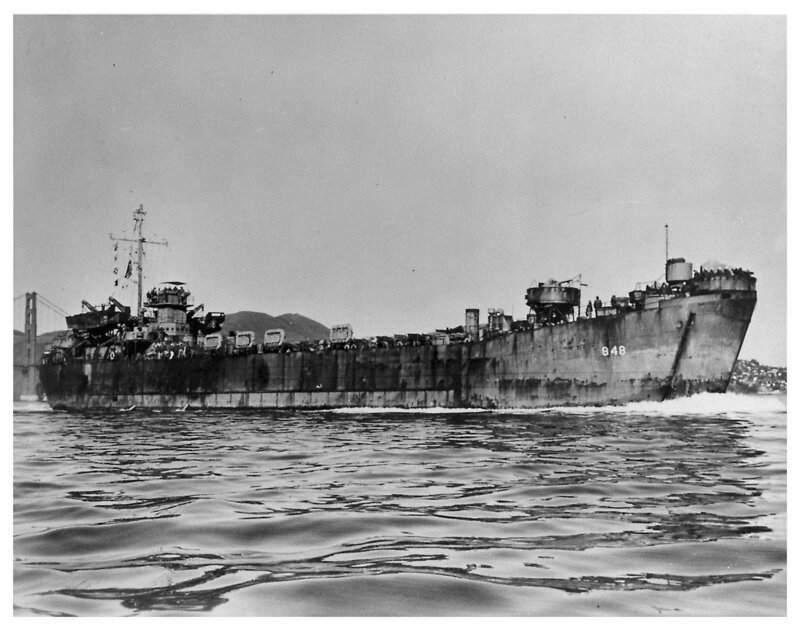 113k USS LST-848 entering San Francisco Bay, circa February 1946. 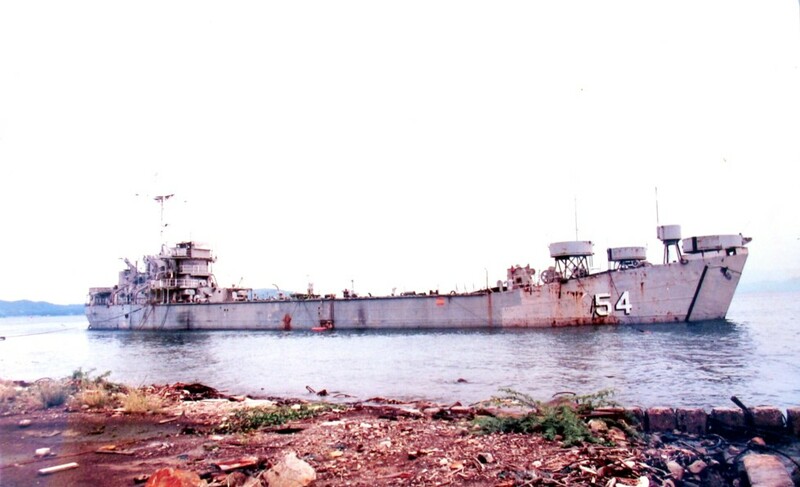 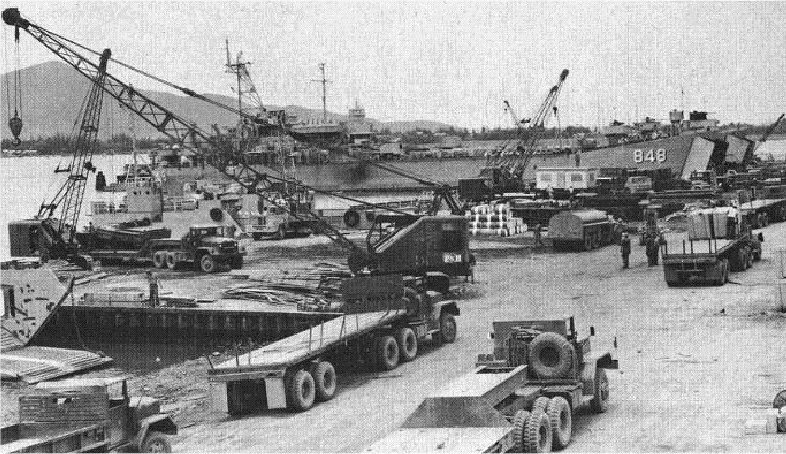 138k USS Jerome County (LST-848) moored at US Naval Support Activity, Da Nang, South Vietnam, circa 1965-66. 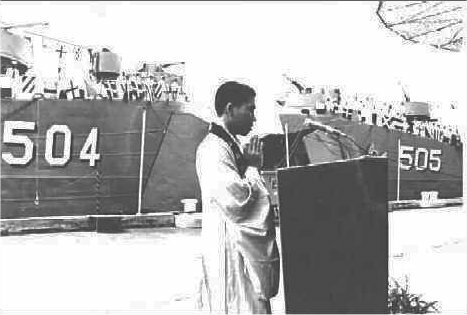 US Navy photo from "All Hands" magazine, July 1967 Joe Radigan MACM USN Ret. 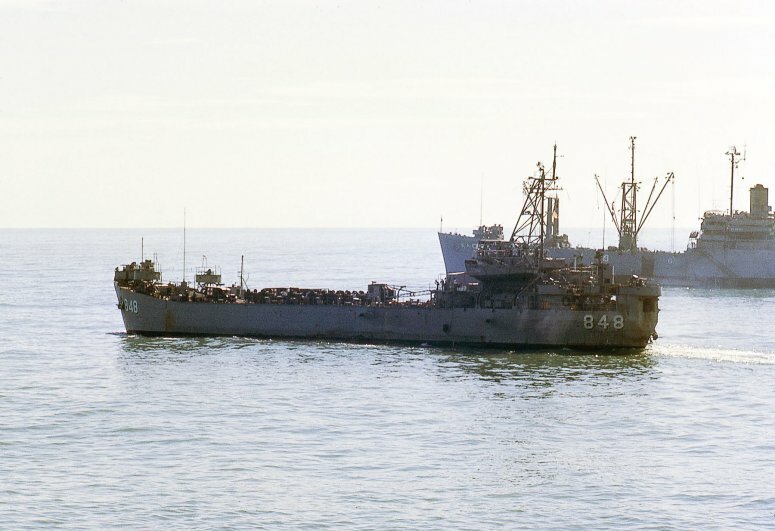 134k USS Jerome County (LST-848) operating off the coast of Oahu, Hawaii, 15 June 1968. 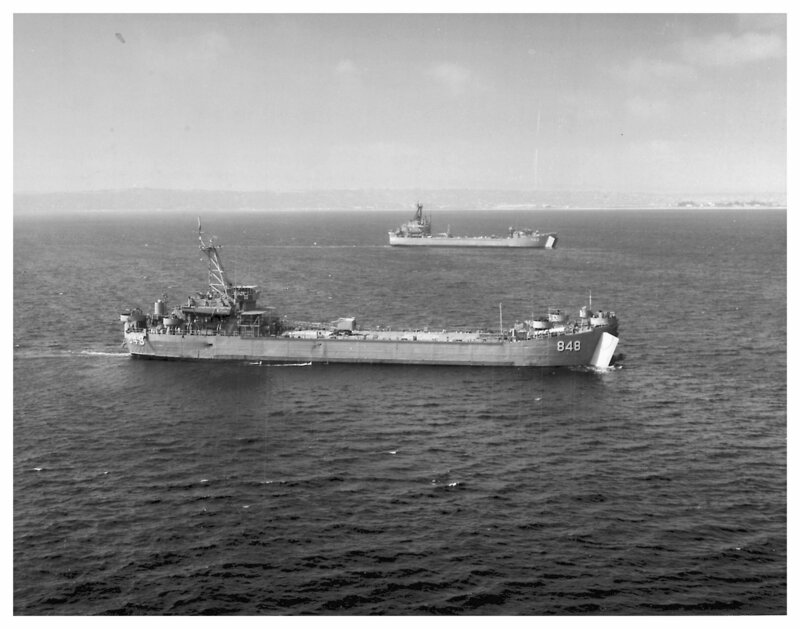 Photo by PH2 Timothy F. O'Sullivan, of squadron VC-1. 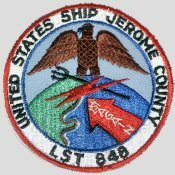 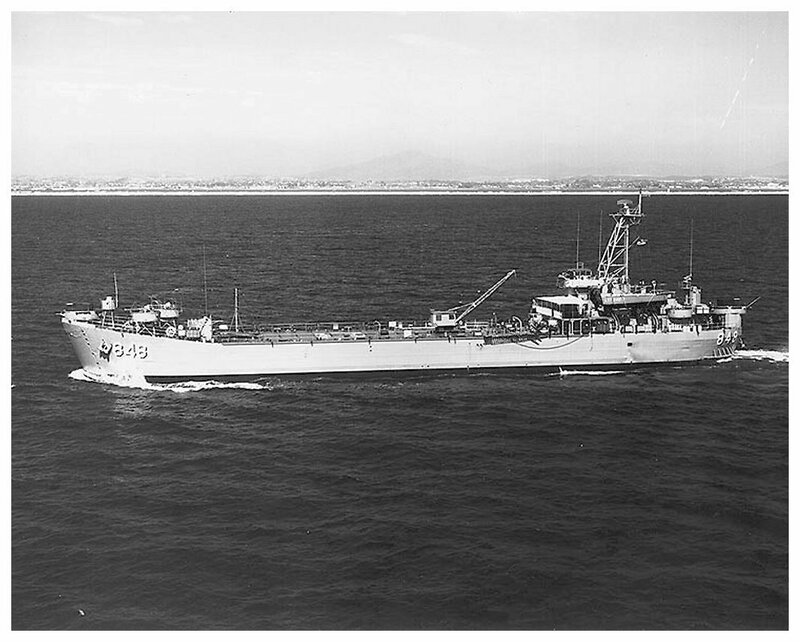 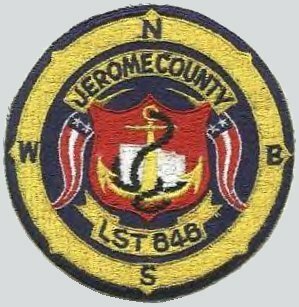 95k USS Jerome County (LST-848) off San Diego, California, circa the 1960s. 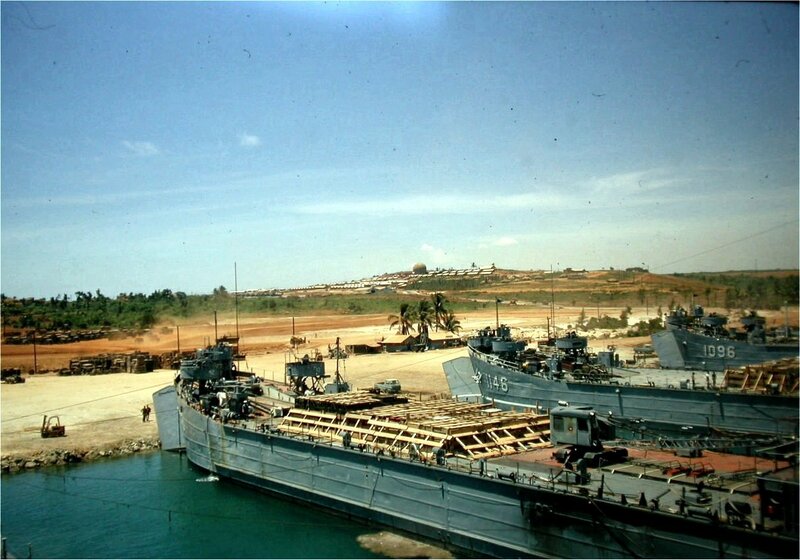 USS Wexford County (LST-1168) is in the background. 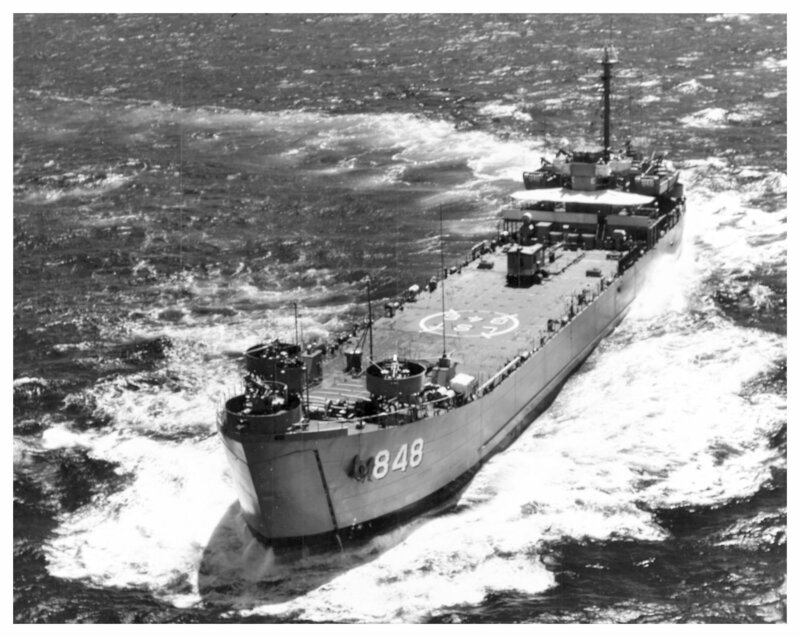 Photograph received from USS Polk County (LST-1084), 1969. 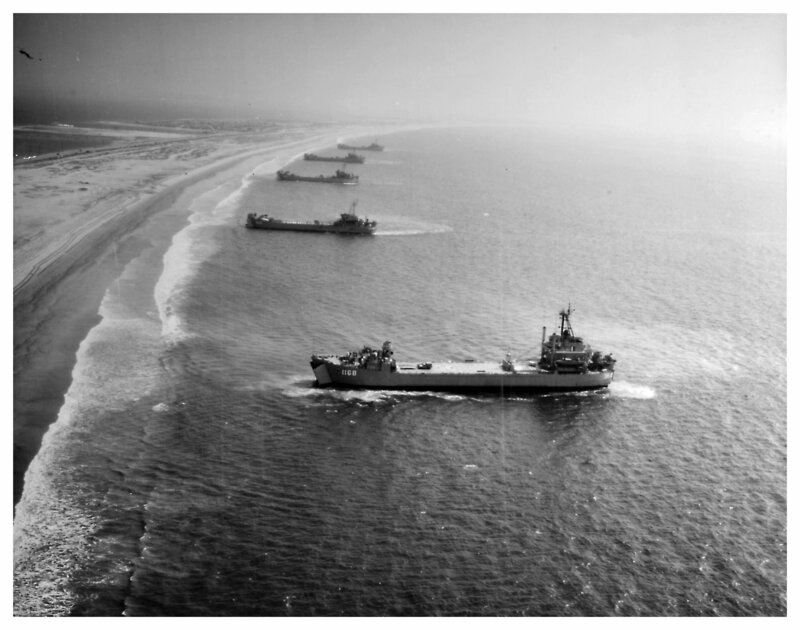 91k From left to right USS Wexford County (LST-1168), USS Jerome County (LST-848), USS Polk County (LST-1084) and two unidentified LSTs conducting landing practice off San Diego, circa the 1960s. 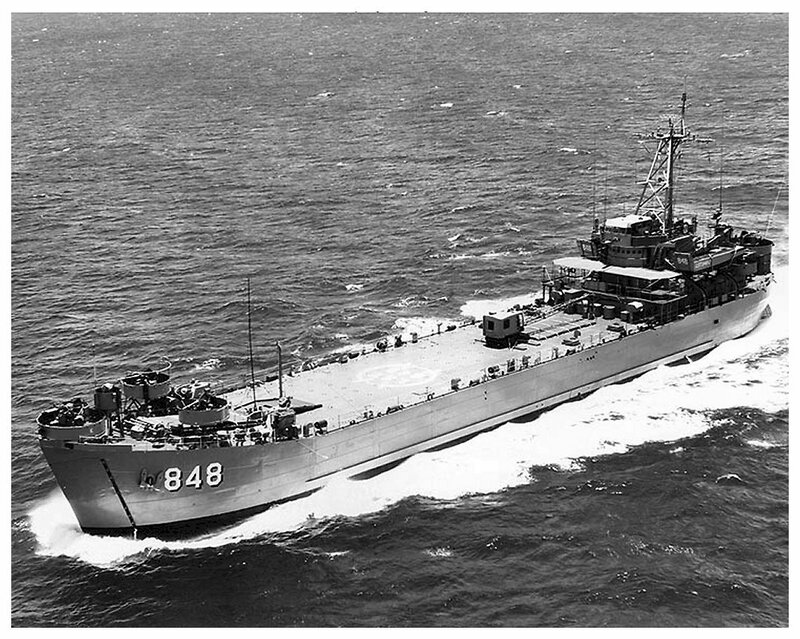 US Navy photo # NH 68713 from the collections of the US Naval Historical Center. 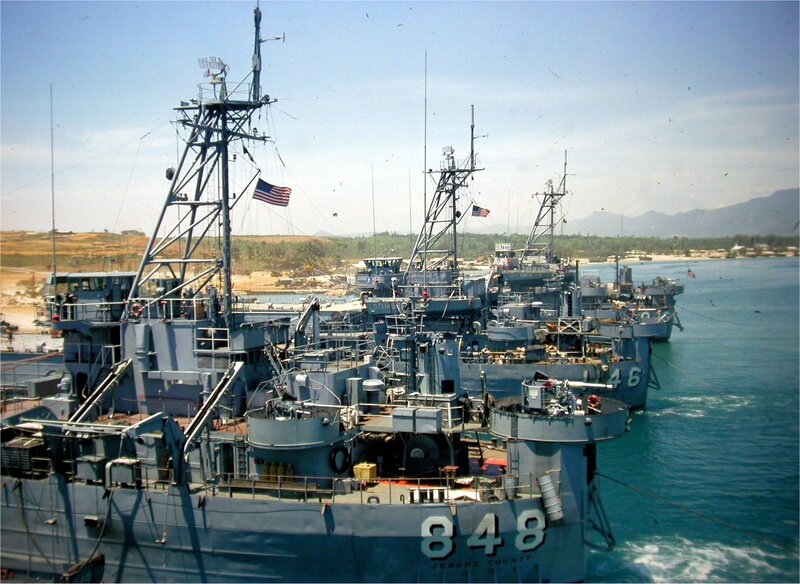 US Naval Historical Center.